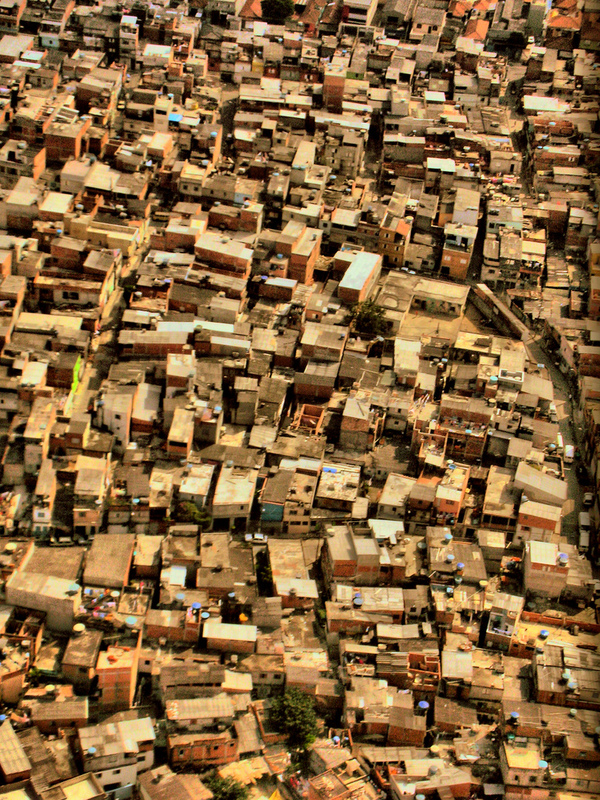 Heliópolis is known as one of the most densely populated neighborhoods in São Paulo, with 120,000 people living in an area of less than one square mile. 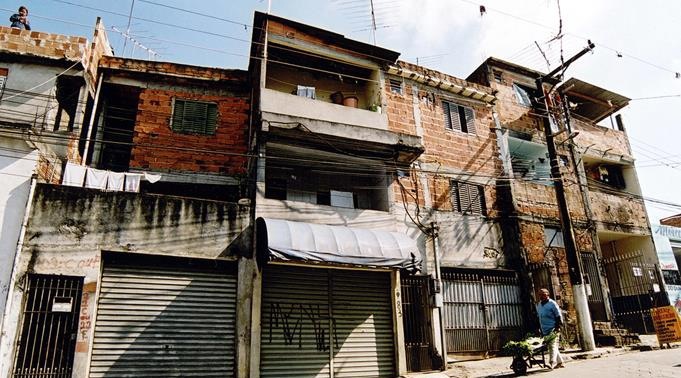 Legend has it that architect Ruy Ohtake once called it the ugliest part of the city, prompting members of the UNAS community organization to ask him to help make it beautiful. To their surprise, Ohtake agreed and began working with residents to transform the ubiquitous brick and concrete walls into a vibrant cityscape. Together they decided on a flexible color scheme to use in painting the neighborhood. Ohtake selected the trim for windows and doors to subtly unite the composition. Painting didn't begin until each participant was happy with his or her choice. In the meantime, Ohtake found a local company to donate supplies. When everyone was ready they painted the buildings together. Ohtake found that participants acquired a "civic sense not by any concept handed to them by an architect, but by action, from results they achieved while making their own environment more beautiful." This project may seem like another celebrated attempt by an outside expert to address a situation that needs more than surface treatment. Still, it prompted residents to get to know each other and work together. At least as important as the results, collaborative planning and execution generated a sense of community around a shared purpose. very thoughtful take on this project. even though i find the original raw buildings more interesting and appealing than the brightly painted ones, i love the collaborative process, the meeting of worlds. Modern design is pretty much always too clean but I like the project. In time it will become just another beautiful layer in this always unfinished landscape. I'm not sure it's always accurate, but I have heard that for taxation purposes, buildings are often not considered "complete" until the facade is finished and painted. I do know that in many of my travels I have observed even substantial construction where the raw cinderblock walls are left unfinished. I don't know if that is an accurate reason. I agree with the earlier "anonymous" that the rawness of the unpainted buildings, as shown in the photo, is appealing; but perhaps blocks and blocks of it are not so. There is also a charm to the painted version.. I think that one would actually have to experience several blocks or perhaps the whole town, to know if this is an improvement. It sounds as though the townspeople are proud of their work, which suggests a definite measure of success.